All 11 Max locations to increase awareness and raise money for Autism Speaks New England & Palm Beach County Chapters. HARTFORD, CT – Compassion needs no words when you dine at a MAX restaurant for its fourth annual “Dine for a Cause” event. 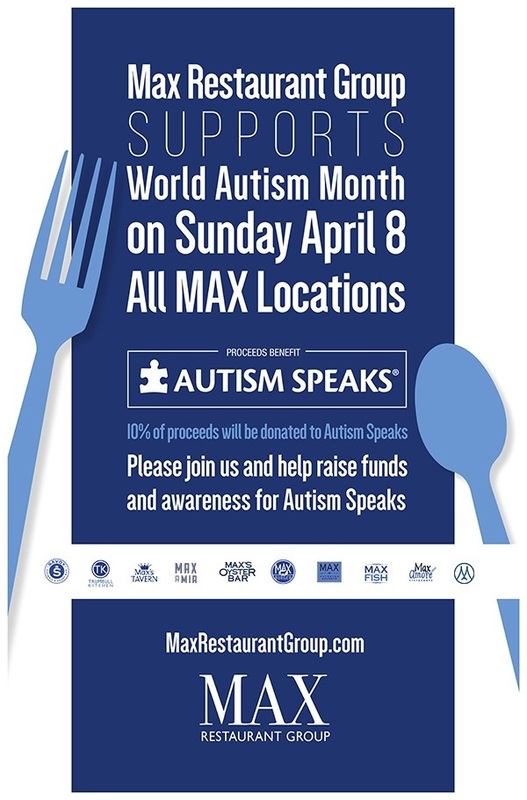 On Tuesday, April 2, dine at any of the 10 Max restaurants in Connecticut or Massachusetts or at The Cooper in Palm Beach Gardens, FL, in support of World Autism Awareness Day and to help those in our community who have Autism Spectrum Disorder. During the one-day fundraiser, a portion of your bill will be donated to Autism Speaks. Guests are asked to mention the fundraiser to their server or bartender for proceeds to go to the charity. Additional donations will be accepted through Sunday, April 7. This feel-good event goes beyond charitable giving, it’s personal. Bobby Venetianer, Max Restaurant Group Director of Community Outreach, has a child on the spectrum. “Nearly everyone knows someone who has been touched by autism, whether it’s a family member or a friend. We are proud to raise awareness and funds so individuals with autism, and their families, can achieve their best life”, said Venetianer. A bite at a Max Restaurant can help Autism Speaks’ mission, which is to promote solutions and support. So, grab a seat and champion your neighbors in the autism community! Autism Speaks is the world’s leading autism science and advocacy organization. It is dedicated to funding research into the causes, prevention, treatments and a cure for autism; increasing awareness of autism spectrum disorders; and advocating for the needs of individuals with autism and their families. Autism Speaks was founded in February 2005 by Suzanne and Bob Wright, the grandparents of a child with autism. Since its inception, Autism Speaks has committed more than $570 million to its mission, the majority in science and medical research. On the global front, Autism Speaks has established partnerships in more than 70 countries on five continents to foster international research, services and awareness. To learn more about Autism Speaks, please visit AutismSpeaks.org. closed for a few days while we build a new kitchen. A week-long event hosted by the CT Restaurant Association to showcase and celebrate restaurants across the state. Funds raised during the event support the CT Hospitality Education Foundation, dedicated to the development of future restaurant industry leaders. 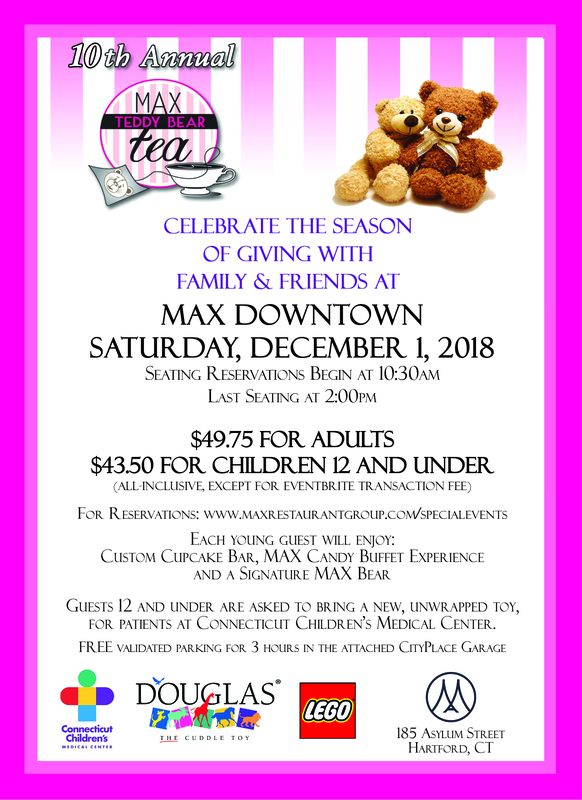 Max Restaurant Group is honored to participate. 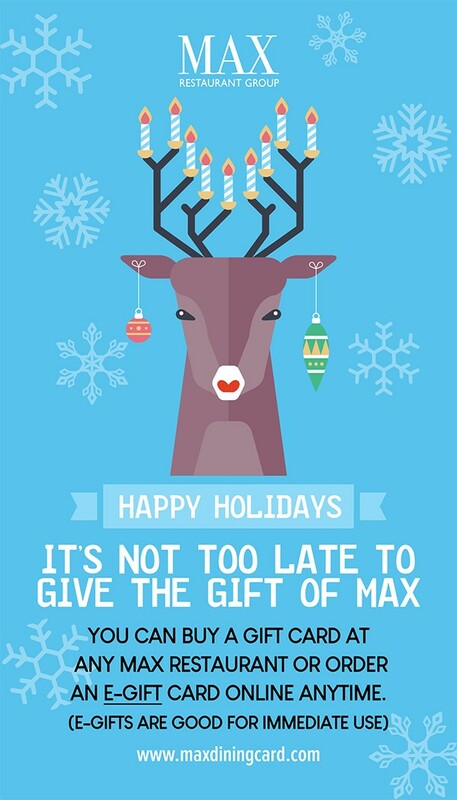 For menus, please visit the website of the Max restaurant at which you wish to dine. Mix all ingredients together and enjoy! 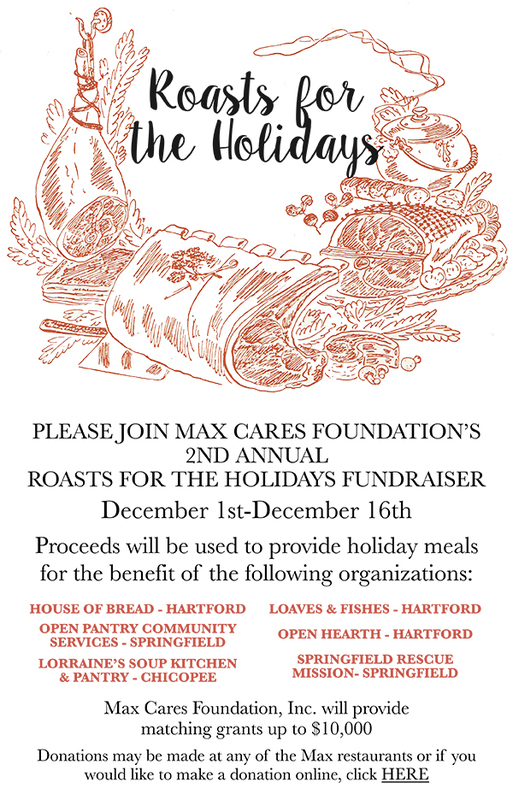 An on-going series of fundraisers for local West Hartford organizations. The 2nd Tuesday of every month. 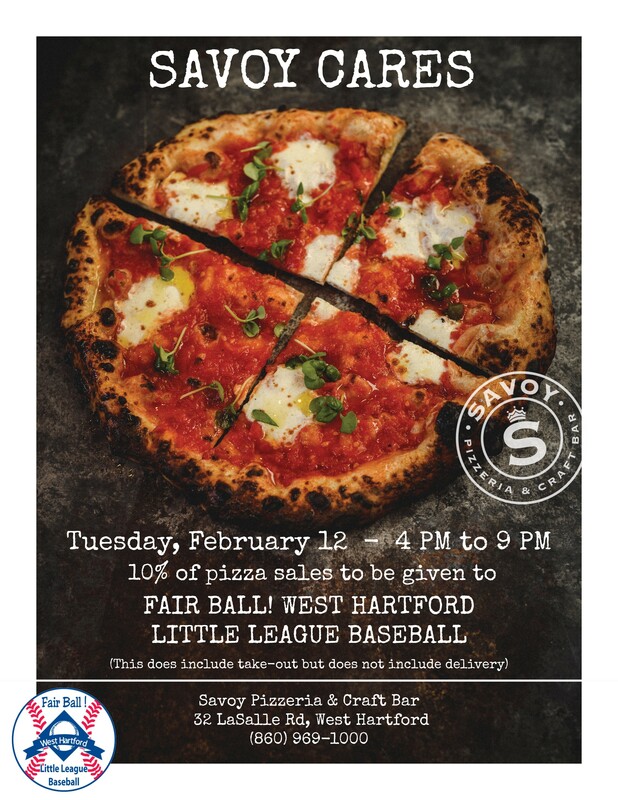 February benefits West Hartford Little League. Enjoy – but be careful…they’re hot! Special prix-fixe menus available all week long! Place greens, croutons, and dressing in bowl. Lightly toss, top with blueberries, charred corn, cucumbers, tomatoes, ricotta, sunflower seeds, enjoy!! Combine all dry ingredients in a bowl, crack eggs and whisk in separate bowl, make a “well” in dry ingredients place all wet ingredients in well, slowly mix in, should be nice and smooth, fold in blueberries, Pour into cast iron skillet. Bake 20 minutes or till toothpick comes out clean. Set aside to cool. Cut Cornbread in half dice into ½ inch croutons and place on sheet pan for 3 minutes. Use the other half to make friends. HARTFORD, CT - The MAX Restaurant Group, with eleven locations in Connecticut, Massachusetts, and Florida, is proud to announce the return of a former executive chef to the Max family and another long-time chef getting a well-deserved promotion. Hunter Morton has been promoted to the newly created position of Culinary Director of the Max Restaurant Group. Hunter was most recently Executive Chef at Max’s Oyster Bar in West Hartford, CT. Bob Peterson, formerly Executive Chef at Max Fish in Glastonbury, returns after a few years away from the Max group, to become the new Executive Chef at Max’s Oyster Bar. Mr. Morton is excited about this new opportunity within the Max Restaurant Group. “I look forward to working with all our chefs and helping them bring even more creative and fresh ideas to all our menus and ultimately to our guests”, he says. In his new role, Mr. Morton will work with all the Max Executive Chefs to support their cooks and Chefs and help evolve their food and menu items. He will also oversee all of the dining aspects this summer during the 11th Annual Max Chef to Farm series of events. Scott Smith, VP/COO of the Max Restaurant Group says “We have toyed with the idea of having someone in this position for years but finding the ‘right’ person for the job was difficult; someone who is hard-working, understands our culture, makes great food and has the respect of our Chefs and the group. Hunter has met those qualifications during his thirteen years with the group”. Mr. Morton is passionate about cooking and has always been committed to giving back to the community. In 2010, he was one of the founding chefs at Growing Great Schools, a West Hartford non-profit which helped to introduce fresh, healthy lunch items and overall wellness into the public-school system. In addition, Hunter has spent time with students during annual school career days and conducted cooking classes at various schools. Since 2014, he has been involved with Journey Home, a non-profit in Hartford that works to end homelessness in Greater Hartford. 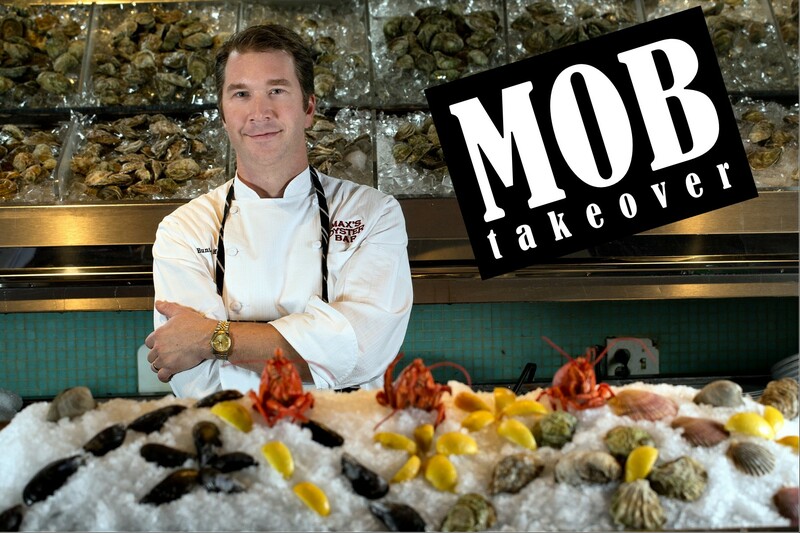 Bob is happy to return to the Max group and take the reins at Max’s Oyster Bar. 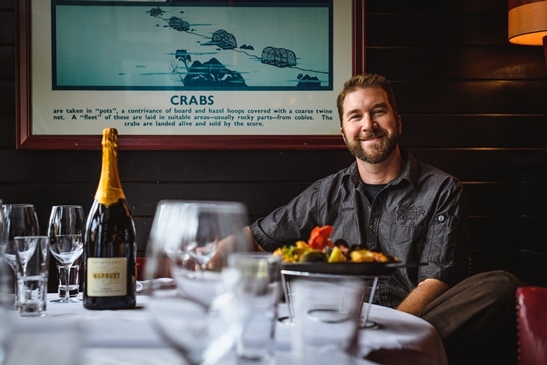 His expertise and creativity will help maintain the culinary standards that the restaurant has cultivated over the years and continue to keep it as the “Best Seafood Restaurant”, as voted in a number of recent local polls. Thank you to all who voted! Preheat oven to 185'. Line 2 1/2 sheet pans with parchment paper. Draw 6- 4" circles on each and flip paper. Using a mixer with the whisk attachment. whisk on high speed until stiff peaks. fold in honey. turn off the oven and let set for 30 minutes. week ahead. store in an air tight container. medium high heat until till begins to boil and sugar is dissolved. ahead of time and frozen. berries, top with the scoop of Icebreaker. cream instead of Ice cream. ALL CURRENT EVENTS ARE ON THE MAX CALENDAR page. Max Downtown @ The James Beard House (NYC). Christopher Sheehan and his terrific team from Max Downtown, the stunning flagship restaurant of the Max Restaurant Group, representing CT for a cozy, wintry feast on Monday, February 12. Known for their modern steakhouse fare and comprehensive whiskey list, this all-star crew created a special menu—paired with distinct, prize-winning offerings from Paul John Whisky—guaranteed to warm your hearts and lift your spirits. 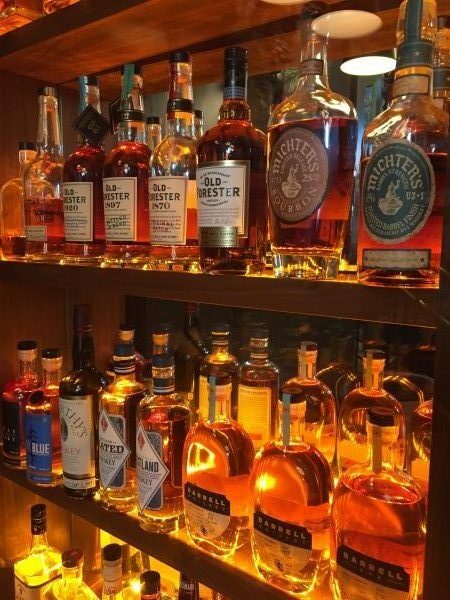 Since our reopening in September, Max Downtown has been focused on collecting the most exciting and exclusive whiskies available in the market. With the extraordinary demand for this category of drinks, we have seen great response from our guests and the trend continues. One of the most exciting aspects of our whiskey program – aside from the addition of the Whiskey Wall – is the addition of Whiskey Flights. This is a great opportunity for anyone to taste a range of items in a comparative manner, really get to know the differences between the styles and learn a bit about various whiskey categories. It has been reported to us that a spam email, has been sent to our guests today. This message asking you to review your account settings in exchange for a gift card is a 'phishing' email. Do not respond! This is a fraudulent message and has been reported as spam. "Everything about our experience was top shelf. Would definitely come back again." "A terrific meal was shared by our family! Love the atmosphere! The service was wonderful - not too rushed and very friendly. Haven't been here in awhile and just missed this restaurant!" "Went here for a birthday dinner date and it was AMAZING. We had the beef shirt ribs (wish this was my entree!! Thy were so tender and flavorful) and the salmon. I had brussel sprouts and mashed on the side of the salmon and loved it. For dessert we had the fondue and carrot cake waffle. Everything was great. Our server was able to make recommendations which I love because I always have a hard time choosing. She was attentive and kind. I would love to go back and would definitely recommend! "I had their Herb Brick Pressed Chicken with Garlic Whipped Potatoes & Autumn Vegetables in Lemon Garlic Sauce. Everything was cooked to perfection. The chicken was tender and well marinated and actually tasted of fresh herbs, the vegetables were just right neither over nor undercooked. The service was superb, great wait staff,the location is perfect for many occasions, date night, meeting or just dinner. The ambiance was engaging with candles around the dining area. I finally made it to brunch here after having a weeklong hankering for a Bloody Mary. The menu is fantastic. MAKE SURE YOU GET A BLOODY MARY. The bar is overwhelmingly delightful with dozens of accoutrements for garnish and spice in house infused vodkas (chili & smoked bacon) and a choice of shrimp, oyster and clam add-ins. Service was awesome! I love seafood and they do a good job of consistently serving great quality food. I've been to Max Fish several times and have never had a bad experience. The menu is creative and the seafood is fresh and expertly prepared. I would highly recommend you give it a try. Let me start by saying I have been to a lot of seafood restaurants all around the country and this is by far one of the best. Friendly staff from the minute you walk in and just gets better as the night goes on. Polite, knowledgable server they make you feel very special. "So, so good. Stop yelping places, just go here. Group of four of us got apps and as soon as we took a bite, we knew everything would be delicious. Tomato soup, candied bacon lollipops, spinach artichoke dip, truffle fries, several different burgers (add the onion straws! ), and oh man. The milkshakes are so good too (especially the kahlua one). To top it all off, our waitress was absolutely stellar. I wish I knew her name! She was polite, friendly, down to earth, efficient, gave great recommendations, followed up without being pushy. Super nice. Enough that we tipped over 30%, really. I've been to Savoy twice now and I can safely say it's one of the better places to check out in the Blue Back Square area, particularly if you're in the mood for pizza! Boasting a pretty great beer and cocktail menu, Savoy is much more than your standard pizza place, more on the level of nearby Avert in the style and ambiance of the restaurant. Last time out, I went with their Spicoli pizza which is a white pie with Brussels sprouts, fontina cheese, panchetta, and the Italian version of caramelized onions and it was AMAZING. Highly recommended if you're looking to try a pizza you've never had before. Max Amore, Max Fish, and Trumbull Kitchen. Call your favorite restaurant for more info. Join us as Maxs Oyster Bar makes a special road trip to Hartford Flavor Company, located in the historic 30 Arbor Street building in Parkville. MOB Chef Hunter Morton and Mixologist Derek Vitale have crafted a pairing menu inspired by the flavors of Wild Moon Spirits, as well as the seasonal offerings from local farms. The Savoy Road Show will be on hand with our wood-fired oven to add a unique twist. Reception in Dianas Lair followed by dinner in Hartford Flavor Co.'s production room where these locally crafted spirits are created. 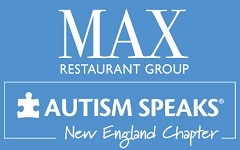 The MAX Restaurant Group, with eleven locations in Connecticut, Massachusetts, and Florida, is proud to partner once again with Autism Speaks, the nation’s leading autism advocacy organization for another one day fundraising event. 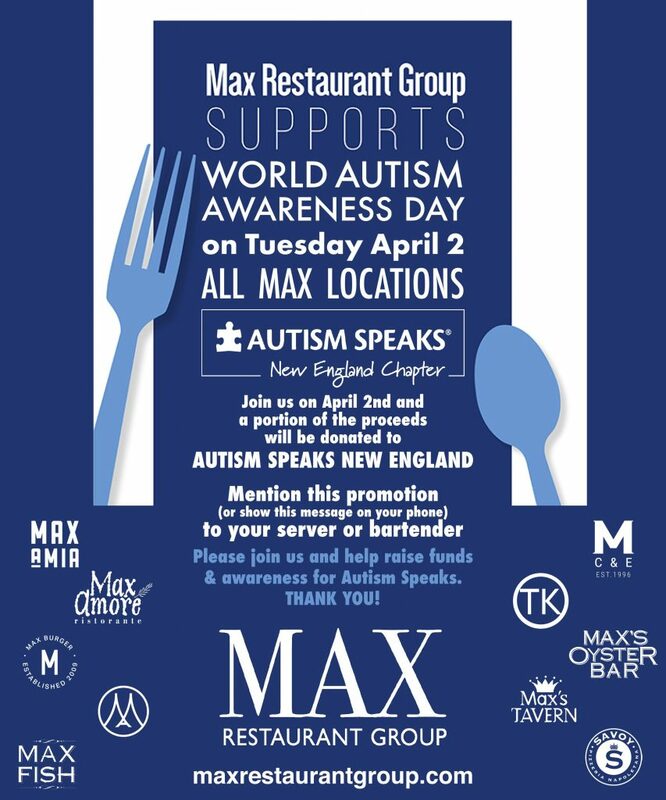 On Sunday, April 2nd, MAX will be donating 10% of the day’s sales to the Autism Speaks New England and Palm Beach County Chapters. “After the success of last year’s event, we are very happy to host this special fundraiser on World Autism Awareness Day to help bring autism awareness and money to our local communities”, said Bobby Venetianer, Operations Manager for the Max Restaurant Group. This important cause will be highlighted through a company-wide campaign to bring people out for Sunday Brunch, lunch or dinner. Additional donations will be accepted and given directly to the charity from any of the locations in Connecticut, Massachusetts, and Florida. Mr. Venetianer adds: “Bring the family and friends and come enjoy a great day and help us raise a lot of money for a wonderful organization”. For more information, please contact Bobby Venetianer at bobbyv@mrgct.com. This event was his initiative and is very near and dear to him, as is son is on the Autism Spectrum. Thank you in advance for your support. This upscale Hartford suburb may enjoy one of the liveliest culinary scenes in Connecticut, ranking with any of the foodie towns along the Gold Coast. The hub of the West Hartford food district is Max’s Oyster Bar, widely praised for its fresh and exquisitely prepared seafood. Though located about an hour drive from Long Island Sound, Max’s constructs one of the best balanced warm lobster rolls in the state. Freshly picked meat from a full steamed lobster, buttered with restraint, comes to the table nestled in a fresh baked top cut roll, alongside slaw, fries, and a slice of lemon. The ratio of meat to bread is about 3 to 1 in weight, 40-60 in size. Those proportions allow the roll to be more than a delivery system for the lobster and butter. Rather the bread counterpoints and compliments the taste and lush texture of the sweet, buttered meat. Combine all garlic butter ingredients together in bowl and chill. Grill asparagus over moderate heat for 5 minutes, turning as needed. Fully cooked meals ready for you to warm up. Delivery area must be within 20 miles of Hartford. Orders MUST be placed by Sunday, April 17th. 07/26/15 - "Max's Oyster Bar in West Hartford, Connecticut has served great seafood for 16 years"
View the full review from Hartford Magazine. Max Chef to Farm 2015 Schedule Just Announced! 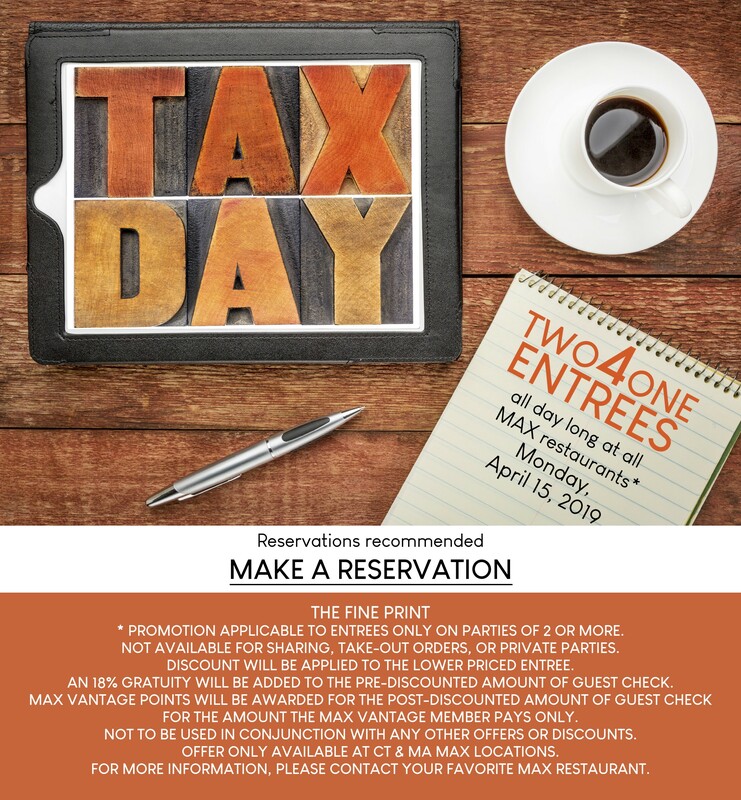 04/22/15 - Schedule Posted and Reservations Available Now! The 2015 MAX CHEF TO FARM Summer Schedule Posted and Reservations Available Now! We're almost done putting the final touches on our Summer 2015 Max Chef to Farm schedule. Look for an email annoucment soon! 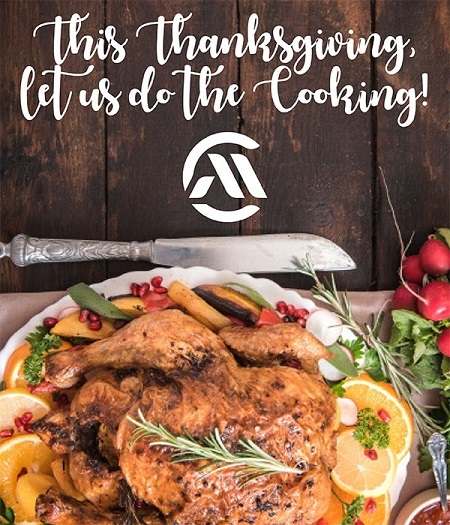 Enjoy the time with your family and let MAX do the cooking! For all the info, click here. Rosedale Farms & Vineyars are now planning and organizing our farm membership (CSA) for 2015. This year we are expanding to more organics, hydroponics and heirloom varieties for our members. Many Max patrons enjoy Rosedale fruits and vegetables throughout the season. This year Rosedale will be providing an additional pickup for our CSA on Wednesday 9am – 11am at Max Oyster Bar. We realize many cannot always get to the farm so we would like to make it more convenient for you to enjoy our membership. We hope to offer more events such as Farm fests (in which members will receive four tickets to one event) as well as a very challenging corn maze (also four tickets). Your calendar is likely already full of holiday plans: family dinners, cocktail soirees, office gatherings. And if you're entertaining, maybe you're looking to serve wow-worthy bites and drinks that go way beyond meatballs and onion dip. The Chef and mixologist at Max's Oyster Bar have stepped up to offer their expertise, putting together stylish yet easily replicated recipes for elegant appetizers and cocktails to impress your guests. The second annual Champagne Gala Dec. 5 at the CityPlace Atrium features tastings of high-end brands like Roederer, Billecart Salmon and Pol Roger, paired with raw bar offerings and passed hors d'oeuvres. $99 per person, not including tax and gratuity, which includes a $25 donation to Connecticut Children's Medical Center (CCMC). This reception starts at 5:30 pm. Then at 7:30 pm, Max Downtown hosts guests for a Tête de Cuvée dinner, pairing more luxury champagne with cuisine by Executive Chef Chris Sheehan. Menu includes Nantucket bay scallops en croute, honey-glazed MarWin Farms duck breast and tournedos Rossini with seared foie gras and shaved Perigord truffles. $195 per person for the reception & dinner, not including tax and gratuity, including a $50 donation to CCMC. Reservations are required. Call 860.522.2530 for more information. Chef Adam Brown has announced that “Sunday Funday” is about to get really appetizing with the launch of a new brunch menu. 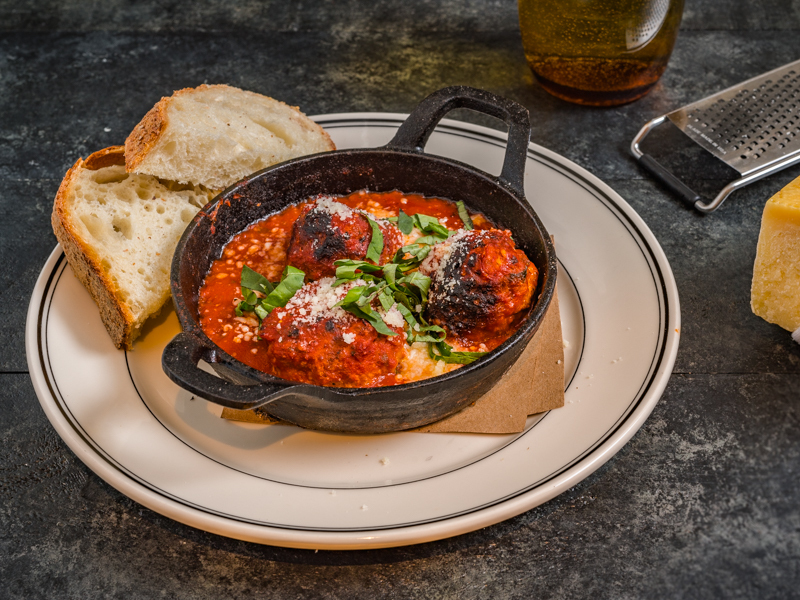 Available every Sunday from 11 a.m. to 3 p.m., the rustic, let’s-try-it-all menu caters to hungry foodies who enjoy spending time with family and friends over a good meal. 10/13/14 - It's Connecticut Restaurant & Beer Week! 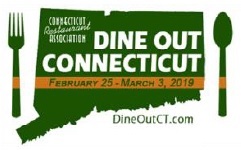 The annual Connecticut Restaurant Week, hosted by the Connecticut Restaurant Association, will have a new component when it kicks off Oct. 13. In conjunction with the Connecticut Beer Wholesalers Association and CT Beer Trail, diners will also see specials and promotions for the state's craft beers. Here is the recipe for Max Downtown Executive Chef Hunter Morton's Alaskan Sockeye Salmon with Sweet Summer Succotash. 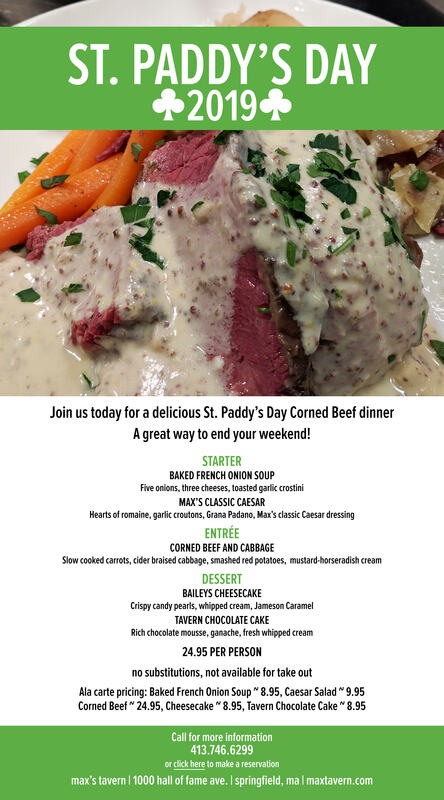 Prix Fixe menus, Chef Specials, and more! Looking for something different this Valentine's Day? Why not spend Valentine's Evening at The Bushnell Theater for the Performing Arts and enjoy the Hartford Symphony Orchestra performing symphonic dances from "West Side Story", with a pre-show soiree featuring catering by MAX EVENTS. 12/20/13 - Do you karaoke? Join us every Friday night in our bar area for food and fun...and singing! We have a special late night happy hour bar bites menu and drink specials. Call 860.659.2819 for more info. Celebrate the holiday season with a little (more) indulgence. Max's Tavern Featured on Phantom Gourmet on Saturday, August 11, 2013. All Max restaurants are OPEN Monday, May 27th, EXCEPT Max Downtown & Trumbull Kitchen. 05/20/13 - Join ESPN's Colin Cowherd at our annual "Cigars Under The Stars"
Join ESPN's Colin Cowherd as he hosts our annual "Cigars Under The Stars" event at Max's Tavern at The Naismith Memorial Basketball Hall of Fame. Includes a four course meal, a bourbon and port tasting, and of course, cigars, outside on our patio and lounge. 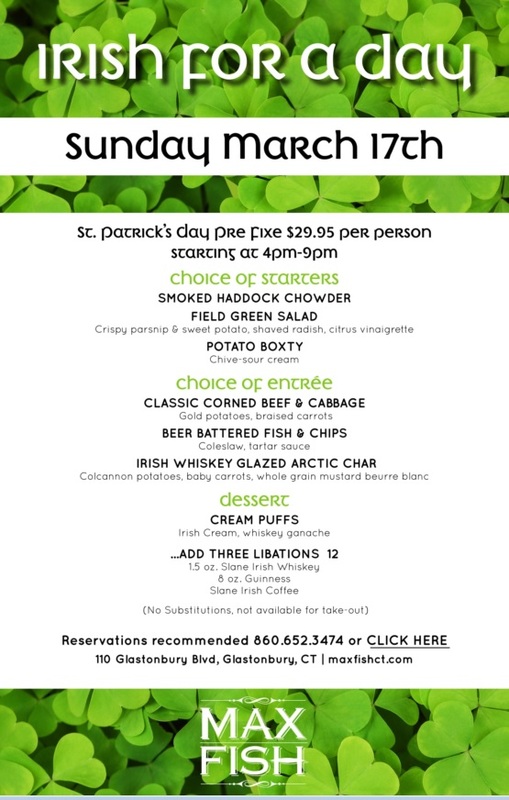 Seating is limited, so call 413.746.6299 for reservations today or click here to reserve online. 01/29/13 - With Valentine's Day bearing down, the pressure's on to show that special someone that you care enough to plan the very best. With Valentines Day bearing down, the pressure’s on to show that special someone that you care enough to plan the very best. News and information on Max beverages. This weekend, November 2, 3, & 4, four Max restaurants will be featuring dessert made with locally-grown apples to raise money for Growing Great Schools (GGS). The Connecticut Restaurant Association is holding its annual "Salute to Excellence Awards Dinner" at Mohegan Sun next month. We have a few nominees, so we would appreciate your vote. Please click here to vote. An artiflce from the Hartford Courant discussing Max Downtown Executive Chef Hunter Morton's efforts to come up with healthy, fresh new recipes for school lunches. The "Kobe Fun" guy burger lands on the cover of the latest issue of Hartford Magazine in their story highlighting the best burgers and brews in the Hartford area. Anyone who has ever eaten at Max's Oyster Bar or at one of our celebrated Max's Chef to Farm Dinners has had the pleasure of experiencing the cuisine of Chef Scott Miller. Did you also know that he makes a mean cocktail? 08/21/12 - Come East of the River for "A Taste of the Suburbs"
Join us at Max Amore and Max Fish in Glastonbury, CT for "A Taste of the Suburbs", a week-long event (Aug. 27th thru Sept. 2nd) featuring enticing 3-course menus for only $20.12 per person (excluding tax, gratuity, and beverages). 07/09/12 - One of the Top 5 "fabulous farm dinners" in the US. Max Restaurant Group is thrilled to be nationally recognized by Fodor's Travel Guide for our Chef to Farm Dinners. Max Restaurant Group salutes Michael Corcoran, who has worked for many years at Max Amore, for this distinguished award. He is set to receive this award on Saturday, April 28th, 2012 at the Earth Fair at the Connecticut Audobon Society Center at Glastonbury. 04/08/12 - "Terrific", "Max impresses". We are excited to announce that we have teamed up with our friends at Rosedale Farms & Vineyards to offer you the freshest and highest quality produce around. We are now an Official Member Pick-Up location. 03/26/12 - Have you heard? 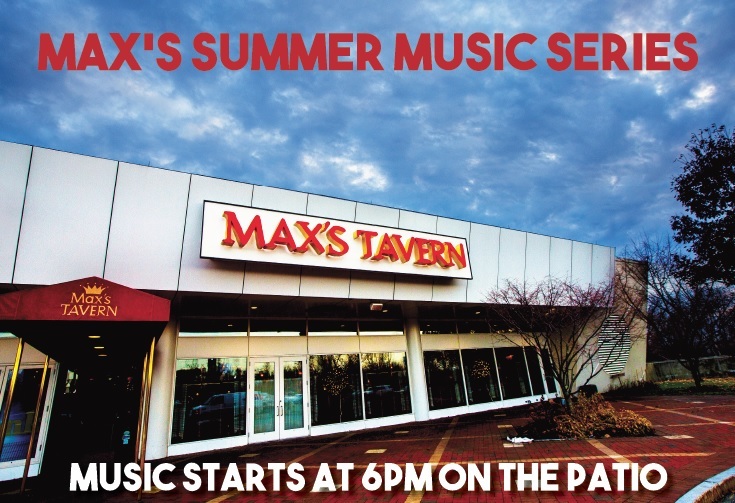 We're serving Sunday brunch at Max Fish in Glastonbury. Featuring a new take on brunch classics and an incredible Bloody Mary Bar. 03/14/12 - The Barrel-Aged Cocktail has been making it way around the country and is now firmly in Connecticut at the Max Restaurant Group. The Barrel-Aged Cocktail has been making it way around the country and is now firmly in Connecticut at the Max Restaurant Group. 02/10/12 - Lots of great special events happening at MRG! 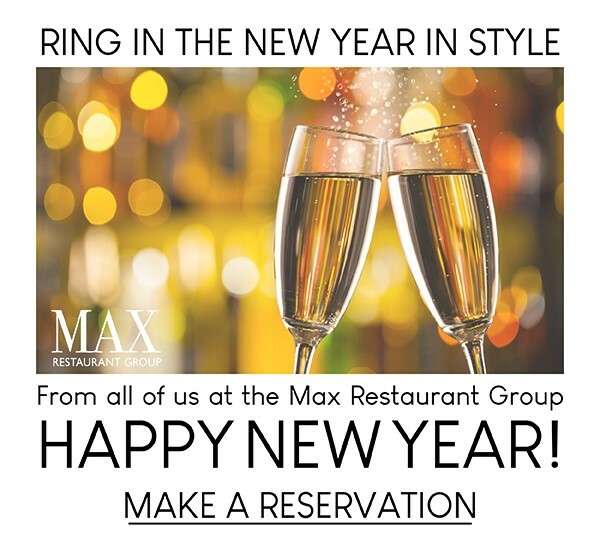 To keep up with all the latest news and events happening at Max Restaurant Group, bookmark our Calendar. Each cocktail has a unique style created by the local bartenders at each of our locations, and most of them will be featuring Mionetto Prosecco, a lovely sparkling wine from Italy, as the main ingredient. Loads of fresh ingredients from raspberries to edible orchids are being used. Make your reservations today or just stop by one of our taverns for a great, original cocktail, such as Mike Mills’ “Downtown Love” from Max Downtown in Hartford. Feel like going out to dinner Christmas Eve? Max Downtown, Max Fish, and Max's Tavern will all be serving dinner. AnnMarie Harding of Max's Tavern chat with the Kellogg Krew at MWAS 94.7 FM about the 2nd Annual Max's Teddy Bear Brunch. Max's Oyster Bar Executive Chef Scott Miller named "Chef of the Year"
Scott Miller, of Max's Oyster Bar, was named the 2011 Chef of the Year by the CT Restaurant Association. Miller beat out 100 other nominees to win this inaugural award. The Arthritis Foundation New England Region and the Max Restaurant Group celebrated the 10th Anniversary of it's highly successful Max Classic Golf Tournament. 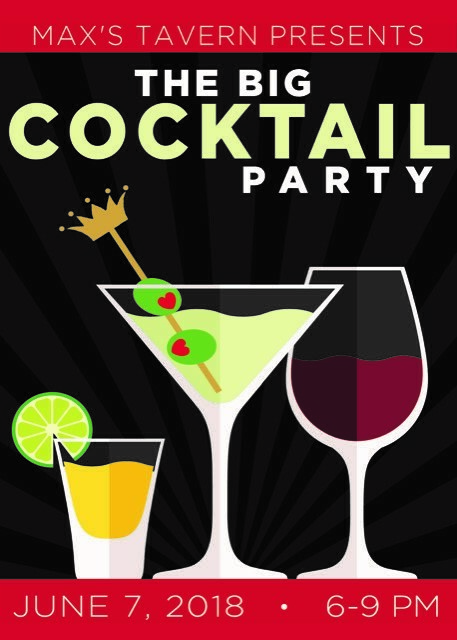 Max Downtown Bar Manager "Boston" Mike Mills featured on the Hammer + Sickle Vodka website. 09/24/11 - Due to impending bad weather, event has been canceled. Once again, the weather has affected our plans, so we have canceled this event. Max restaurants launch program to highlight locally grown and produced ingredients all month long. West Hartford is a national semi-finalist in the Recipes for Healthy Kids Contest. 05/05/11 - West Hartford is a national semi-finalist in the Recipes for Healthy Kids Contest.e are the only team from Connecticut to make it this far! West Hartford is a national semi-finalist in the Recipes for Healthy Kids Contest sponsored by Michelle Obama’s “Let’s Move” Campaign and the USDA. We are the only team from Connecticut to make it this far! Check out Max's Osyter Bar as featured in the new Harte Infiniti video. It showcases the car's new Zagat Guide feature in its Navigation system and prominently highlights the Oyster Bar! 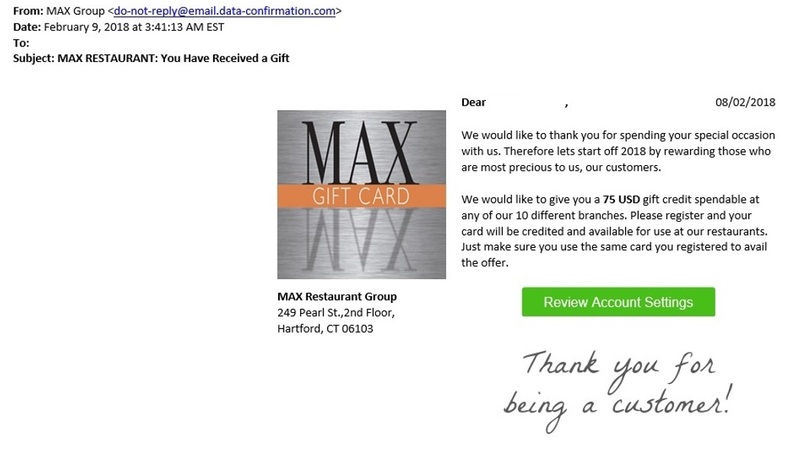 Max Restaurant Group was voted Best of Hartford by Hartford Magazine readers in 23 categories. Click here for the full list of awards and winners. 07/07/10 - Dining at a farm is more than a magical experience; it cultivates the local-sustainable food movement. 02/04/10 - For years we have searched for the perfect accompaniment to a delicious Max meal. This is our answer: our Family Cuvee is a special blend of only the finest Napa Valley fruit. Chef Morton's Potato and Sweet Potato Latke Recipes! 12/07/09 - Chef Morton's Potato and Sweet Potato Latke Recipes! 08/31/09 - All Organic Dinner Under the Stars. Click here for the full article from The Middletown Press. Click here to view photos from the second Rosedale Farms dinner .